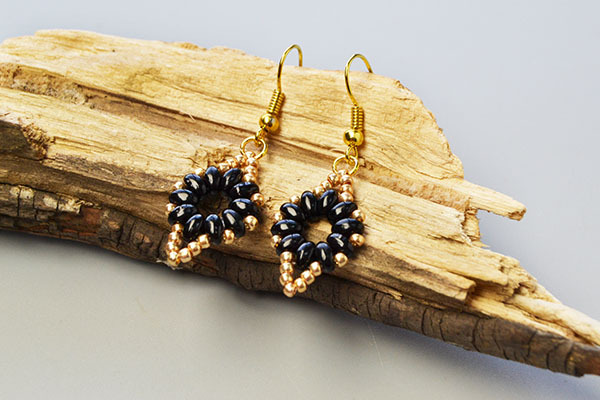 Summary: Here are a pair of easy beaded earrings made of black 2-hole Japanese beads and copper seed beads. 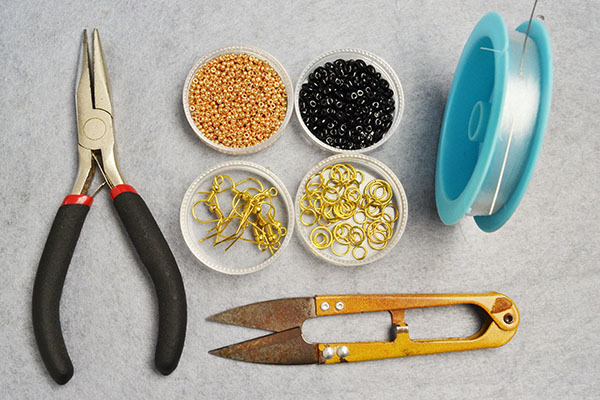 If you want to learn how to make them, you can follow this easy tutorial. This pair of seed bead dangle earrings are suitable for beginners who just start out handcrafting. 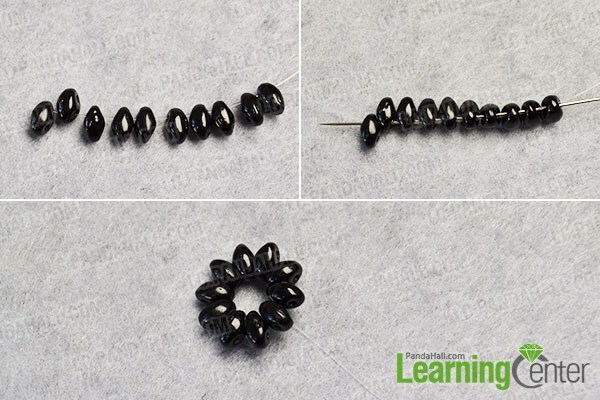 It only takes 4 easy steps to complete this pair of black beads earrings. And they have well-designed structures and all-matching colors which could be good reasons for you to choose them. 3rd, make some knots with the wires, then cut off one end of the wire. 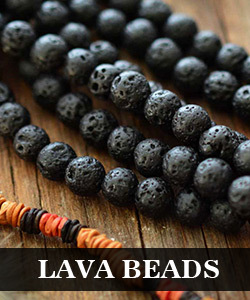 2nd, slide a 2*1.5mm copper glass seed bead onto the wire. 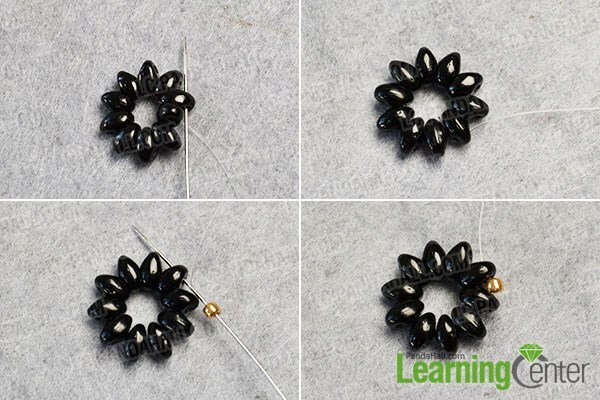 Cross the wire through another hole of the next black seed bead to fix the copper seed bead between them. 4th, make some knots with the wires then cut off extra wires. 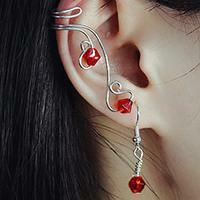 2nd, make another earring in the same way. 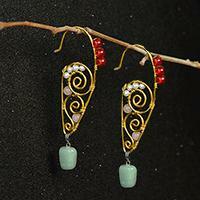 This is the final look of this pair of easy beaded earrings. Don’t they look cute to you? Why not collect all the materials and make one pair for yourself? By the way, if you have better designs with this pair of seed bead dangle earrings, you are welcome to us to share your ideas or thoughts. I would like to print out these instructions, but I don't see any link to a "printer-friendly" version. I tried copying it into a document, but the formatting was very cumbersome to edit. It would be great if you could add a way to do this.